Candidates applying for Forest Conservator Jobs must not exceed the upper of 37 years and below 18 years as reckoned on 01-01-2018. Candidates interested to join Forest Department must have secured a Bachelor's degree in second division in Natural Sciences, Mathematics, Statistics, Mechanical Engineering, Civil Engineering, Chemical Engineering, Agriculture or Economics of a recognized university or holds equivalent degree from a foreign university. 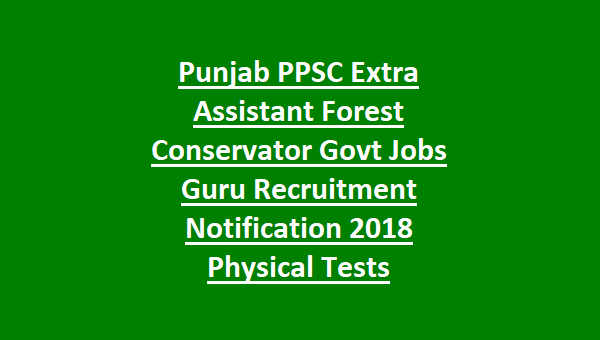 Candidates intend to contend for the Forest Conservator Assistant Post will be assessed on the basis of Physical Standards, Physical Efficiency Test and Written exam. Candidates will be put through a walk over of 25 Km to be completed in 4 hours. 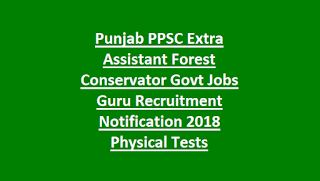 Candidates interested to join Forest Services as Extra Assistant Forest Conservator must apply online through the portal http://www.ppsc.gov.in/ on or before 18thOctober 2018.